Today Croke Park launch our new GAA Manifesto, a celebration of our GAA – of our shared values and of all the people who make our GAA what it is. The first manifestos were unveiled today at St Colmcille’s in Bettystown, Co Meath in both Irish and English, and a copy will be distributed to every club around the globe. 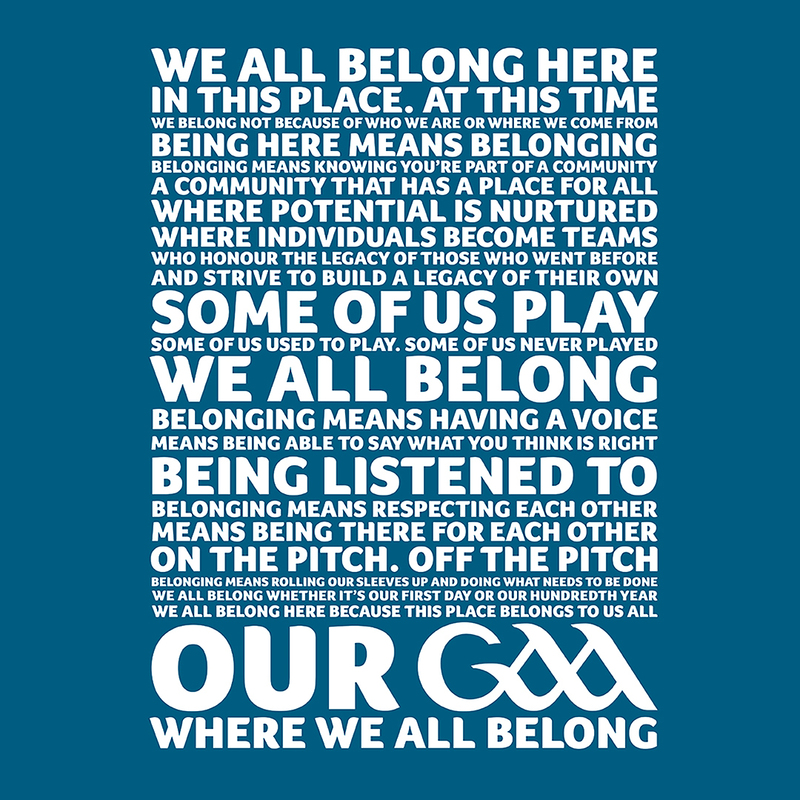 It is an affirmation of our GAA mission, vision and values, regardless of your role within the organisation, and is built around the statement: ‘GAA – Where We All Belong’ / CLG – Tá Áit Dúinn Uilig Ann’. Based on feedback we sought from more than 8,000 people, this research revealed that the sense of belonging the GAA gives is of utmost importance to them. Click here to view the online video.